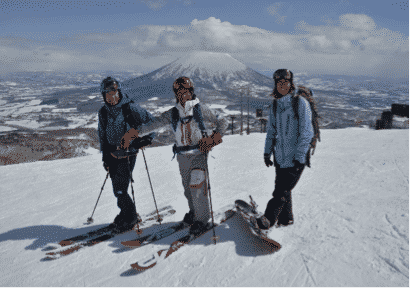 Make the most of your time skiing the world’s best powder at Niseko Ski Resort with mountain / ski certified Austrian and local JMGA mountain guide Jun! 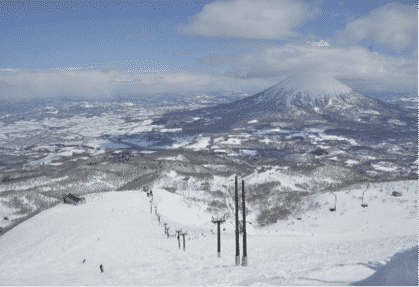 Niseko ski resort is world famous for the quality of its powder snow and is also the No. 1 ski resort in Japan! Located in Hokkaido and 2.5-hours away from Shin Chitose Airport, this hillside resort consists of Niseko United and Niseko Moaiwa in Mt. Niseko Annupuri（1,308m). 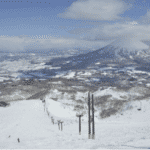 Niseko United is a very large ski area. It is composed of 4 interlinked ski resorts: Grand Hirafu, Hanazono, Niseko Village and, finally, Annupuri. Thanks to my extensive knowledge and experience in these areas, I will take you to the best runs. We’ll try to find the very best snow for you. I promise to make each day a day of pure fun! You won’t regret it! In this 3 hours tour, I will take you to the secret powder staches within the ski area boundaries. Guided ski trips are possible from mid December to early May. However, please note that access to each ski resort depends on weather and snow conditions. These guided ski days are open to intermediate and expert skiers. So don’t hesitate to get in touch with me and we’ll put together the perfect program for you and your group. So come explore Niseko ski resort’s quality powder snow with me! I speak Japanese, English and also German and are waiting for you to contact me. I love sharing my knowledge of the area with people from all over the world. - If I'm not available, one of my colleagues will be happy to be your guide. All the guides I work with are appropriately certified and have extensive knowledge of the area (2 are Austrian ski instructors and 1 is a JMGA ski guide). Hello! I’m a qualified Austrian mountain ski guide, a ski instructor as well as a alpine and ski guide with the Japan Mountain Guide Association (JMGA). I’ve lived 7 years in Austria, mainly as a ski instructor. 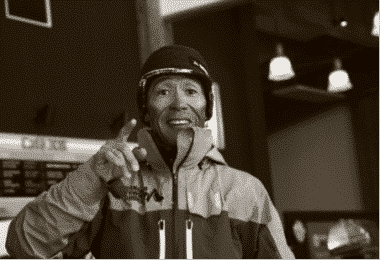 I then became a mountain ski patrol in Tateyama in Japan, a heli ski guide in New Zealand, a chief guide at Niseko Hanazono Powder Guides, an assistant director of Niseko International snow sports school, and ultimately have started ski guiding independently since 2013. I value the fundamentals of skiing as sports; to enjoy the snow mountains in a stylish, free and safe manner, in both private and as work. The best outcome is when both the client and guide can have fun, and for this, I am quite particular about not only guiding but also in technical / skills aspects and selection of appropriate equipment. I am an alpine skier but also enjoy telemark skiing. In summer, I have enjoyed surfing for a long time. Whether it be on waves, on mountains or on asphalt, if there’s enough steepness then I love to ‘glide’, which is my motto. 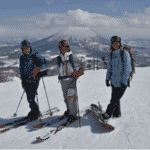 Please join me in gliding my backyard - which is the front and backcountry of Niseko!